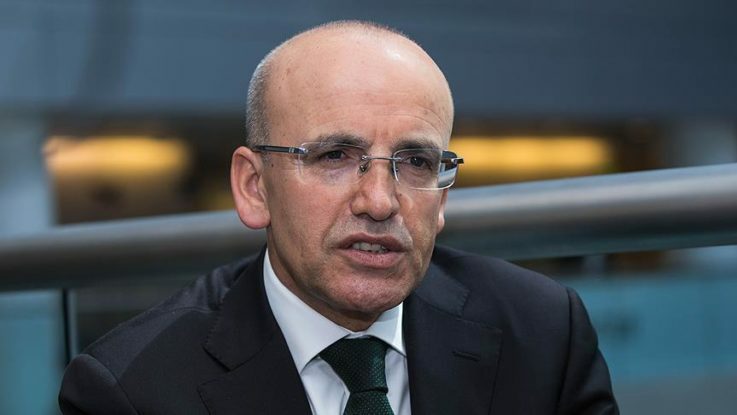 Investors welcoming Turkey’s decision to hold snap polls cementing the transition to a presidential system is triggering a large inflow of funds to the country, said Turkish Deputy Prime Minister Mehmet Simsek on Monday. “Firstly, uncertainty will be reduced. Secondly, the presidential system will open the way for Turkey, and thirdly, putting reforms quickly on the agenda offers an opportunity to resolve existing problems,” Simsek told news channel NTV. If the elections had been held next year, as originally scheduled, a longer period of uncertainty and campaign atmosphere would have had a negative affect and deterred investors, he said. Simsek said the president elected this June 24 will immediately establish a government which will enable him to implement the right policies and reforms for a five-year period. Simsek added that early polls would not hurt Turkey’s growth as the country has strong momentum, as leading indicators show. Turkey has held many elections, and maintained fiscal discipline throughout, he said. He also underlined that Turkey’s focus on savings, with a savings ratio of around 25 percent over the last 12 months, fell short of its investment appetite. “Our main goal is to channel existing savings into productive areas. We will enable taxes, incentives, and credit policies to ensure that savings are channeled into the right areas,” he added.